Lewis Rice member Jeremy Brummond co-presented a webinar, hosted by the American Bar Association, in which he discussed contract issues, business advice during the life of a project, and claims issues for contractors. 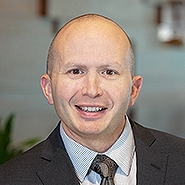 Jeremy, along with Sara Kornblatt of Gibbs Giden Locher Turner Senet & Wittbrodt LLP, explained how to address contracts and claims issues in a manner that sufficiently protects the interests of contractors. Jeremy focuses his litigation practice on engineering and construction. His clients include property owners, engineers, general contractors, and specialty contractors. Jeremy counsels clients in contract negotiation and drafting, and he frequently represents such clients in construction-related litigation including cases involving claimed construction defects, delay and impact claims, and mechanic's lien and payment bond claims.